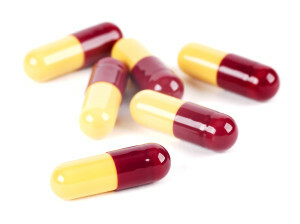 Iodoral Diet Pill Review (UPDATED 2019): Is Iodoral Safe and Effective? Iodoral Diet Pill Review: Is Iodoral Safe and Effective? Many weight loss and diet pills promise to help you lose weight by suppressing your appetite or boosting your metabolism so that your body can burn fat more efficiently. However, other weight loss supplements are simply designed to improve various functions of your body to prevent unhealthy weight gain and facilitate natural weight loss. One product such as this is Iodoral, an iodine supplement designed to improve the way your thyroid functions in order to help you lose weight. Of course, keeping your body functioning in a healthy, efficient manner is an integral part of losing weight. But is a supplement designed solely to benefit your thyroid actually capable of helping you lose a significant amount of weight? Let’s take a closer look at Ioderal and find out just how much help it’s capable of providing. 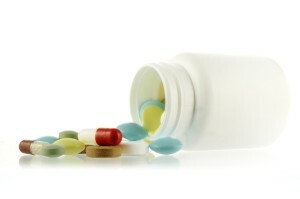 Iodoral is produced the Optimox Corporation, an online-based supplement company that seems to have existed since 1997. Optimox’s official website is very bare-bones, but is easy to navigate and features an email address, phone number and California P.O. Box for customers who may wish to contact the company. Generally, it’s preferable to research as much information about a supplement company as possible before you invest in one of their products, and while it would be comforting to have a little more info about Optimox, there doesn’t seem any reason not to trust the company so far. 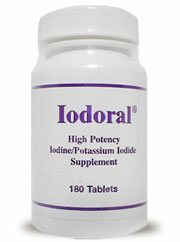 Iodoral contains iodine intended to assist in thyroid production and prevent hypothyroidism, which is commonly caused by a deficiency of iodine in the thyroid. The reason why this may be beneficial for users looking to lose weight is due to the fact that hypothyroidism is one of the leading causes of weight gain, due to symptoms such as chronic fatigue and lack of concentration. There are a few independent reviews of Iodoral online, which means you can see just how this supplement has worked for actual users like you. While some users seem to have actually lost weight thanks to help from Iodoral, others have experienced disappointing results, unpleasant side effects and withdrawal issues after attempting to cease use of the supplement. Iodine: Optimox describes iodine as an essential element, necessary for the thyroid, as well as various other parts of your body, to function efficiently. Potassium Iodide: an inorganic compound frequently used to “iodize” common table salt and commonly found in thyroid supplements such as Iodoral. On the company’s official website, Optimox warns consumers that ingestion of iodine has previously been linked to several side effects, including sinus headaches, unpleasant tastes, sneezing, increased salivation and acne-like skin lesions. One particularly concerning independent review of Iodoral claims that the supplement raised the user’s potassium levels high enough for him to have to go to the emergency room, as well. Iodoral can be purchased conveniently from Optimox’s online supplement marketplace. Iodoral should only be used if you have an existing thyroid deficiency. Too much iodine is actually capable of harming your thyroid, making it even more difficult for you to lose weight. 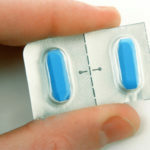 One review of Iodoral features a former user whose thyroid actually stopped functioning after he began to take an increased dosage of two pills twice a day. While this may not be due to the use of Iodoral itself, experiences such as this are always worth considering when deciding whether or not you want to use a supplement. Iodoral is an iodine supplement intended to improve the way your thyroid functions and to prevent hypothyroidism, a leading causes of weight gain due to symptoms such as chronic fatigue and lack of concentration. Unfortunately, Iodoral should only be used if you already have a preexisting thyroid deficiency, meaning that users with healthy thyroids are not advised to use Iodoral as a weight loss supplement, as it will be ineffective and possibly unsafe as well. If you have a preexisting thyroid deficiency and are afraid that you may potentially face weight gain as a result of hypothyroidism, Iodoral may be an adequate choice for preventing that from happening. Unfortunately, you should not consider using Iodoral if there’s nothing already wrong with your thyroid, which means that Iodoral does not make for a very good weight loss supplement by itself. Fortunately, there is no shortage of safe and effective weight loss products to help you on your way to a healthier life; Iodoral just isn’t one of them. Whats better than Iodoral Diet Pill?